The Third assailant from Tuesday nights two gang assaults has been taken into custody. The Hate Crimes Task Force has already charged the other two perpetrators with Hate Crime, and assault charges. 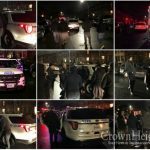 The third assailant from Tuesday nights two gang assaults on two Jewish men has been taken into custody by the NYPD Wednesday. 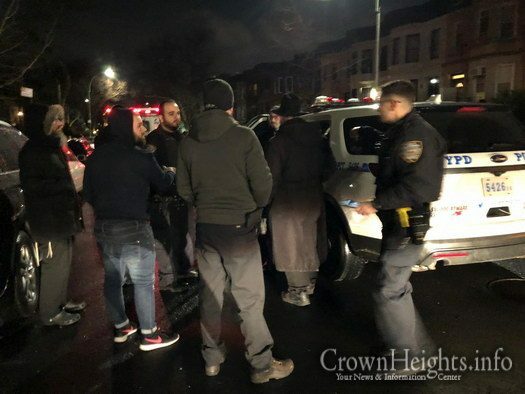 The assaults, which was previously reported on CrownHeights.info, occurred a few minutes after 1:00am on President St between Albany and Troy Ave, when the gang of three began targeting Jewish men on the block. now, how to keep them off the streets, incarcerated for a maximum time ??????? and how are the victims?? 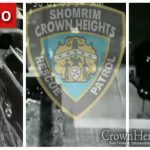 Good job Shomrim. Thanks to Shomrim and Shmira the cops have to show up and do some work (eating donuts does not count for work). Now let’s make sure the victims press charges and put those low lives away for a long time. 1) Have the City Council appropriate funds for Shomrim and Shmira to expand and work 24/7. 11) There should be a PAC (Political Action Committee), a Jewish Shul Senate, run not run by rich Jews, but by a member of each Shul, whose Job it is to get out the vote and unite the community. 12) Jews in CH should be informed and organized months ahead of the upcoming primary. Remember – several recent primaries were decided by about 1000 votes. Antisemitism will always be a thing and it will rise before the final days of galus. You should try to be aware of you’re surroundings and to create a safe environment by making a kiddush hashem. Try to be friendly to people you may be quick to judge. Being honest and truthful can bless you’re soul. No more lashes hora around our shabbos tables. It may have an impact on someone you aren’t aware of. We are born to with the nature of sin so just do youre best succeed in youre own way. A simple person should know the right from wrong. If you see someone lacking the understanding kindly educate them in a manner that’s just free association.